Strong Foundations: Why Aaron Wan-Bissaka and NFL Cornerback Marshon Lattimore Are the...Same? ​There is something inelegantly graceful, as pretentious as that sounds, about the way Aaron Wan-Bissaka runs - with and without the ball, but specifically in that latter phase. He is predator-like in his aggression, progressing from labouring to lightning in an instant to harry his opponent into submission. In many ways, this technique is reminiscent of a cornerback in the NFL. The cornerback and full-back positions are perhaps the most comparable roles from these two sides of the Football coin; just as a full-back is charged with keeping a winger in check, the cornerback's primary concern is to stop the wide-receiver from, well, receiving the ball. Out wide. They're also the most likely defender to be involved in an offensive play. If you were to take a glance at the highlights reel of the greatest cornerback of the last decade, Richard Sherman, you would find almost half of it taken up with end zone-bound interceptions. They are not just charged with picking off wayward passes from a quarterback, but the resulting return into the opposition end zone as well, if possible. But not all full-backs play with Wan-Bissaka's faithfulness to the defensive side of the role, especially these days. As inverted full-backs and wing-backs become more and more common, all-round semi-competent footballers like ​Marcos Alonso are thrust into the position because they're not technical enough to be a midfielder but good enough when provided with space in the attacking phase, disciplined flank defenders are rare. Indeed, because of the general increase in attacking intent, if you look at most of the consensus top right-backs and left-backs these days - Joshua Kimmich, Marcelo, Kyle Walker etc - they can sometimes feel shoehorned into their role, occasionally shirking it altogether. But that is not the cloth that Wan-Bissaka is cut from, and that is why he is Marshon Lattimore-esque in his defensive focus. Which brings us to the New Orleans Saints player. Now, Lattimore has a year and the best part of an extra season on Wan-Bissaka, but for all intents and purposes they are at similar stages of their career. 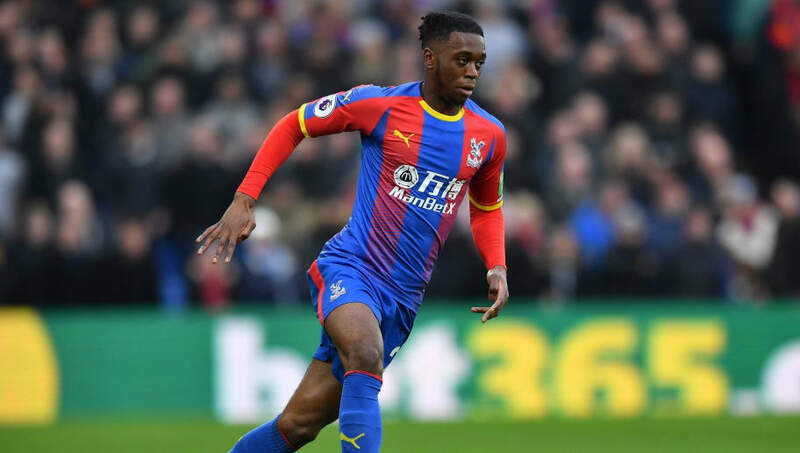 In his first season as a professional, he took home the Defensive Rookie of the Year award, the kind of award which, if it existed on these shores, Wan-Bissaka would be nailed on for (if we took his seven cameo appearances from last season out of the equation). Lattimore is technically impeccable, but it is his timing in the execution of a defensive play that shines. Of course, there is a great amount of intelligence involved in this. Not only do you have to read the offence's play before it unfolds in front of your eyes, you instantly have to do something about it. In his greatest highlights, Lattimore does this with unnerving accuracy and speed. There are numerous occasions where he appears to hit the player before he's collected the ball, but no. When that player gets up, bewildered and bamboozled, he has the ball in his hands, and his teammates are forced to settle for little gain or worse. In the more-than-sufficiently dramatic introduction to his ​highlights reel from that debut season, a pundit can be heard crooning: "He has the ability to do everything. They rave about him because he's smart, he's intelligent, but he's also physical. He doesn't back down." Now, those comments would not be misplaced upon the shoulders of young Aaron, would they? Luckily, Roy Hodgson has provided us with some similar ones of his own. Speaking to Crystal Palace's ​official website, the 71 year-old proclaimed: "His consistency, his work rate, his work ethic and the fact that he has got the necessary humility to continue to learn and grow, I think these are all wonderful assets that he has that will make him into a better and better player." Humility isn't a trait that one would normally associate with such a braggadocio-heavy league as the NFL, but learning and growing is something Lattimore has done at an alarming rate. Despite being the 11th pick in the 2017 draft and the first of his position, the 22-year-old came into the Saints as their third-choice right cornerback. But injuries coupled with his unerring spirit earned him a chance in the team's opening clash against the Minnesota Vikings, and he hasn't looked back since. Returning to that aforementioned gushing pundit, responding to a question about whether he would normally be excited to go up against a rookie cornerback, he explained: "I would lick my chops, I would not be licking my chops going against Marshon Lattimore. He is a different breed!" And that is the assessment many a ​Premier League winger seem to have come to after an hour and a half's work against Wan-Bissaka. It can't be a coincidence that both these men were once on the other side of the curtain, operating as wingers/wide receivers back in the day. While this is not necessarily a rarity in both worlds, and is not guaranteed to instil such a skillset, it does seem to have left both with an innate sense of how to stop their opponents. And, though Wan-Bissaka cannot yet lay claim to a moment as big as Lattimore's game-changing interception, or indeed his game-sealing one, in the Saints' 2019 NFC Divisional Round play-off win over then Superbowl champions the Philadelphia Eagles, he has shown himself undaunted by the proposition of world class opponents flying down his flank. Neither are afraid of making the big hits/slide tackles where required, but where such methods are used with careless abandon, these two are calm and collected in the tackle, unafraid but not overzealous. Although there are obvious differences between their roles, there is a shared sense of duty, a duty that encompasses more than most of their peers. Naturally, it is this enforced flexibility that sets the role apart, but it is the rock-solid defensive foundation that this flexibility is built on for both that sets this duo apart.